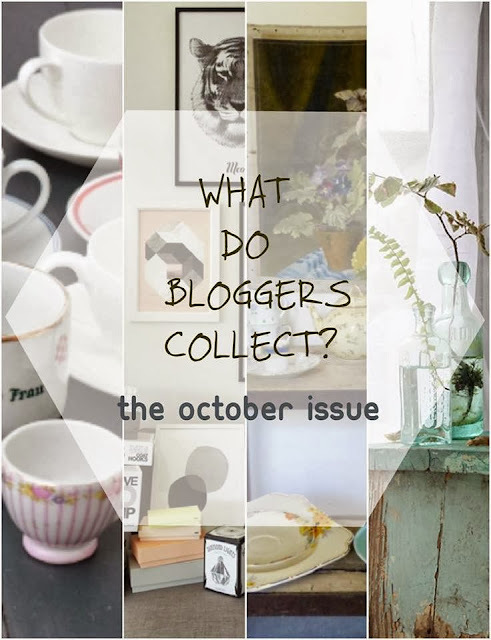 Kickcan & Conkers: What Do Bloggers Collect? What do you collect, I wonder? I was over the moon when Gudy invited me to share one of my many collections with her readers. This October issue features four beautiful collections, from Germany, New Zealand, England and France, all curated with love. It's always interesting to discover a little bit more about your online friends, I think. I hope you enjoy reading this inspiring post! I loved seeing your pretty little collection! My daughter and I love to go to flea markets together and I love thinking about the things she will love and collect when she is older because of our little treasure hunting. Thank you! I collect lots of different things but this is so typically English and a link with my family and past in the UK.